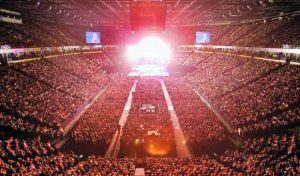 Manchester Arena is one of the busiest and best known concert venues in the world. Nothing and no-one will dampen its song, and this autumn we’re looking forward to more amazing times including, Neil Diamond’s 50th anniversary show, Lady Gaga, Emeli Sande, Mariah Carey and John Legend. There is something both grand and intimate at the same time about a gig at the O2 Apollo on Stockport Road. The venue is an Art Deco style, Grade II listed building, which started life in the 1930s as a cinema. Since 1970 its been strictly a live entertainment venue. There can’t be many Mancunians who don’t have memories here! In addition, the venue boasts a back-catalogue of acts to match any rock ‘n’ roll hall of fame, from The Beatles and The Rolling Stones to David Bowie and The Who, Prince and Bruce Springsteen to Paul Simon, on what could be his final tour last year. The O2 Apollo even has a sentimental attachment for Morrissey, who came back to the city and chose to celebrate his 50th birthday with two gigs here. 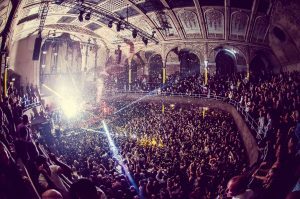 The Albert Hall is another of the city’s hidden architectural gems to be given new life as a live music venue in recent years. The Grade II listed, Wesleyan chapel on Peter Street, still has its beautiful, stained-glass windows, but has sat closed to the public for 40 years. Its potential was spotted by the current owners, who also run some of the city’s other popular live music venues, Gorilla and The Deaf Institute. The atmospheric venue, attracts some big names looking for a unique and intimate setting. And this autumn, is hosting an acoustic gig by frontman and songwriter of Courteeners, Liam Fray. 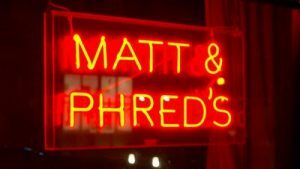 I hope our round-up of Manchester’s Best Five Live Music Venues has helped you plan a night of music and entertainment in our great city. Enjoy! Dubai’s central geographical location, where East meets West, makes it an excellent choice for international corporate events. 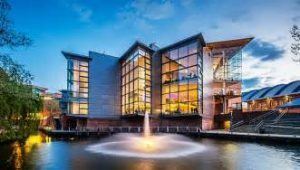 It is also home to this year’s Planners Xtraordinaire congress, where I am delighted to be a guest speaker in October. The city is home to some of the world’s most luxury events, and even more luxurious venues. This is why it’s been so hard to select just five for ‘Our Pick of Dubai’s Best Luxury Venues’!! This vibrant, modern city has become a popular luxury weekend destination for UK travellers. The three-hour time difference means the adjustment is easy on the body clock. The short escape into the desert makes it a perfect destination for mixing business and pleasure. First of all think the glamour of Las Vegas and the fun of Disney. Add a Middle Eastern twist, and you’re somewhere to imaging the innovative concept that is Atlantis The Palm. It is billed as Dubai’s first truly integrated entertainment resort. Hotel’s designers have thought of almost everything you could want, and provided it under one roof. Inside there are 17 restaurants from quick bites to treble Michelin starred venues. In addition, there’s a shopping arcade, massive indoor aquarium with sharks, and a dolphin education and conservation centre. Add to this, kids and teens clubs, several bars and a nightclub. Furthermore, for those in search of an adrenaline rush it’s also home to the Aquaventure water park. This is a dare-devil’s paradise with a 2.3km river ride with tidal waves and pools, water rapids, white water chargers and a heart-stopping 27.5m near-vertical water slide. The striking architecture of the Burj Al Arab has made it not only an iconic landmark of Dubai, but instantly recognisable around the world. Located on the beach it is designed to resemble a breaking wave – and one you can land your helicopter on the top. If you opt for this hotel, once inside you’ll realise this is just the start of your event menu. The venue’s two-tiered, Al Falak Ballroom, styled like an 18th century Viennese Opera House, offers an opulent and charming location for speakers with the adjacent Tameen Majlis breakout room for networking. 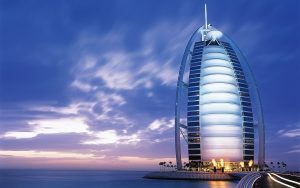 Or for a more modern feel book the Burj Arab Terrace, a favourite for product launches with its spectacular sea views, restaurant, pool and beach space for up to 800 guests. The name, Ritz-Carlton has become synonymous with gold standard treatment. Amid the city’s sky-scrapers the 14-storey, Art Deco designed, Ritz-Carlton Dubai may appear small in comparison, but don’t let that fool you. It is still home to seven restaurants and lounges, several outdoor terraces, indoor and outdoor pools, in addition to a sparkling 1400 square meter ballroom, decorated with more than 1000 antique mirrors and a ceiling which twinkles with 10,000 crystals. Most of all, it’s an elegant choice if you a looking for a stylish, cultural experience, combining top class service with a central location. If you’re going to call yourself the One and Only then you’d better have something special to offer. And, in a city that seems to have just about everything, the One and Only has managed to pull off the seemingly impossible task. It has created something unique. This is largely due to the fabulous location. It is set on a kilometer of private beach and within 65 acres of beautifully, landscaped gardens. This traditional Arabic-styled hotel has been designed with rest and relaxation in mind. It is such is a perfect venue to take clients for a celebratory event. Last year’s winner of the World’s Most Luxurious Hotel, Dubai’s Armani Hotel is an impressive choice for any event. It’s stunning location, inside the world’s tallest building, the Burj Kalifa is visible for miles around and offers unrivalled views of the city. One of only two hotels designed by fashion designer, Giorgio Armani (the other being in Milan). The décor and design is marked by the understated style and elegance you’d expect. Armani’s Italian influence is striking in the hotel’s contemporary, black marble ballroom. This holds up to 450 guests for a gala dinner or stylish product launch. In addition to looking fabulous, the hotel’s commitment to sustainability and Green Globe certification scores it highly for clients looking for greener events. 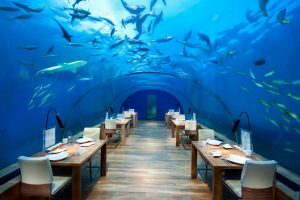 If you are booking an event in Dubai, ‘Our Pick of Dubai’s Best Luxury Venues’ should give you a head start on the best venues available! 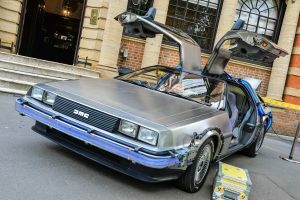 Five event transport ideas .. to make your journey an unexpected bonus! Five event transport ideas … to make your journey an unexpected bonus! There are some methods of transport that you can use to almost any event, but it is worth spending some time to get to know your venue location better to determine if it opens any more unusual options. For example, if your venue is on the banks of a river, could guests arrive by narrow boat, ferry or decorated rowing boat? Or, for a rural location could guests travel on the back of an antique tractor or by horse and carriage? If guests are laughing and taking photos before they arrive you’re already half-way to a fantastic night. A fleet of VW Beetles decorated as Herbie, a line of Delorean’s that look like they’ve come straight out of film, Back to the Future, or a road full of red 1969 Dodge Charger’s like the General Lee from Dukes of Hazzard are bound to turn heads wherever they go. Choosing your transport to fit in with the theme makes for a seamless experience. Or, if there is no specific theme there are a whole range of luxury party buses to get your guests in the mood before they arrive. Third on our list of five event transport ideas is one of the most important at TLC….IT MUST BE INTERESTING! Whether you are bringing guests to a party or a conference, you want to make the ride as interesting as possible. A great way to do this, particularly for longer journeys is to keep your guests entertained during the trip. If you’ve got guests from out of town, you might like to hire a tour guide who can give information and tell interesting anecdotes about the places you are travelling through, or hire a guest speaker, who has expert knowledge to share on the theme of your event. 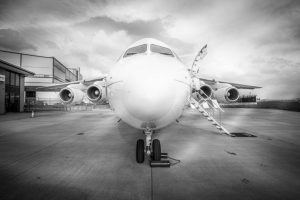 Depending on how far your guests are travelling, for the ultimate rock star experience you might think about hiring a private jet or helicopter. Most larger airports have private jet terminals, which means that your guests can be driven straight through security to the aircraft, with a wait of less than five minutes between arriving at the private jet terminal and boarding. Flying private is exactly what it says – private. It means there are no passengers others than the people you’ve invited and you can choose whatever movies, music, catering you like. And for overnight flights, if there is room you can have beds made up for guests, making sure everyone arrives refreshed and ready to work or play. Transport is one of the simplest ways to make your event more environmentally friendly. Depending on distances and numbers you might opt for non-motorised, eco-friendly transport like pedicabs or horse and carriage. But, even if you opt for more traditional transport methods, rather than have everyone travel separately in cars, door to door group transport is both greener and more relaxing because guests don’t need to worry about getting lost, parking or having a one drink too many. Hope you five event transport ideas have given you something to consider when planning your next event!